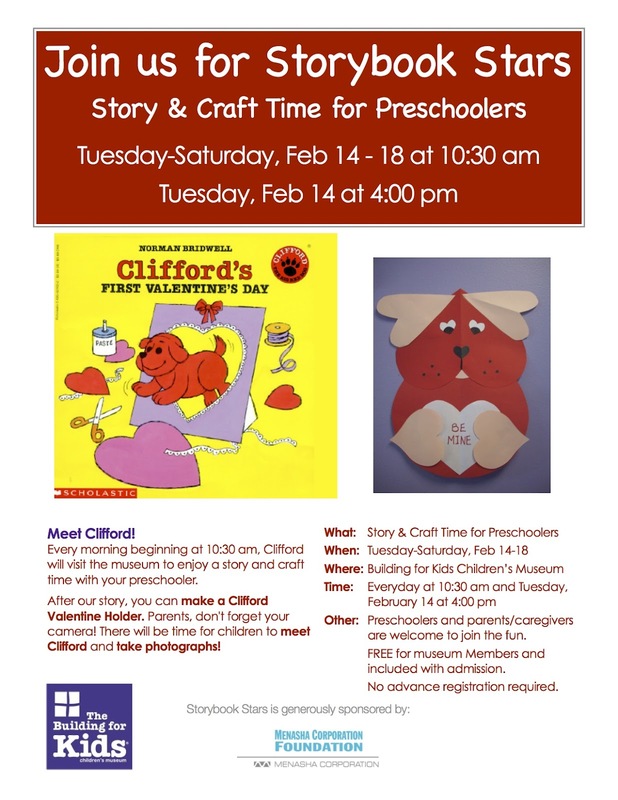 Posted on Feb 15, 2012 by Appleton Downtown Inc.
Clifford is at the the Building For Kids Children's museum now through February 18th. This Storybook Star will joins the museum daily at 10:30 am Tuesday - Saturday, February 14-18 and also will be making a special appearance on Valentines Day, Tuesday, February 14th at 4:00 pm. Building for Kids would like to thank Menasha Corporation Foundation for sponsoring the Storybook Stars series and appreciates their commitment to educational programming at the Building for Kids Children's Museum.